The Botaira Beach Resort Denarau ferry route connects Naviti Island with Fiji. Currently there is just the 1 ferry company operating this ferry service, Awesome Adventures Fiji. The crossing operates up to 7 times each week with sailing durations from around 3 hours 15 minutes. Botaira Beach Resort Denarau sailing durations and frequency may vary from season to season so we’d advise doing a live check to get the most up to date information. The resort of Botaira sits on the beautiful Naviti Island in Fiji. Set in the Yasawa islands, there are seven weekly sailings to Denarau on the mainland, with all services provided by Awesome Adventures Fiji. What will I experience at Botaira Beach Resort? The resort is surrounded by magnificent sandy white beaches and crystalline Pacific Ocean waters. Luxury bures are dotted along the beachside with dining and bar areas overhanging the beach, giving terrific vistas of the length of the bay. Botaira is in a marine reserve and the underwater sights will blow you away. Whether you are kayaking, snorkelling or delving a little deeper with some scuba diving, you are sure to be in awe of surroundings. You’ll see magnificent coral reefs, exotic fish, clams, starfish and even get the opportunity to go swimming with manta rays if you wanted. The resort also grows its own produce and catches its own fish, so you know your dining experience is going to be fresh. 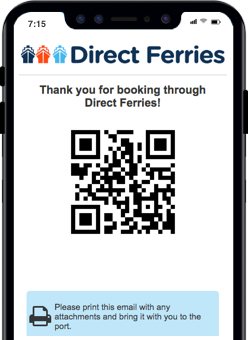 There are seven services a week leaving from the port in Botaira. 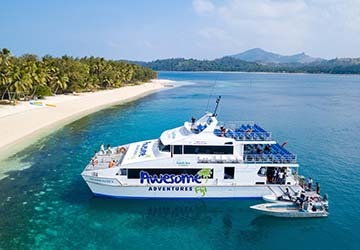 Awesome Adventures Fiji operate one route to the mainland harbour of Denarau. The journey south east takes three hours and fifteen minutes.